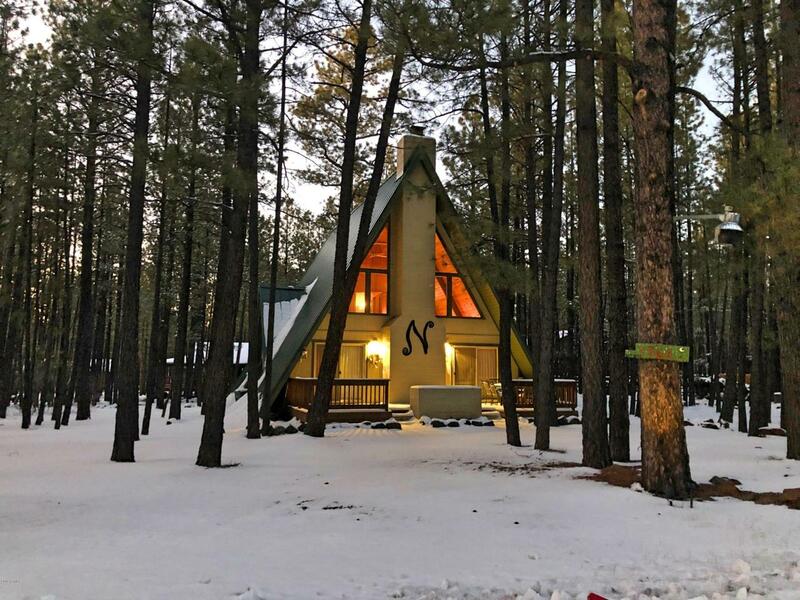 SO many things to love about this adorable A-Frame in the gorgeous Pinetop Country Club area of Pinetop! 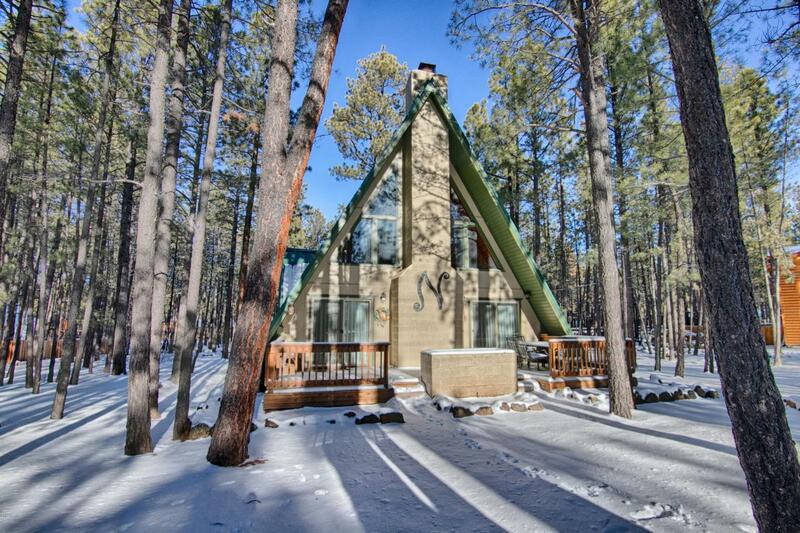 Starting with the curb appeal that includes a brand new metal roof and sitting on a 1/2 acre lot with plenty of TOWERING pines that reminds you you're in the mountains! Enter through the brand new front doors into a lodge-like feel, complete with towering T&G ceilings, a gorgeous stone fireplace, and wood accents in all the right places. 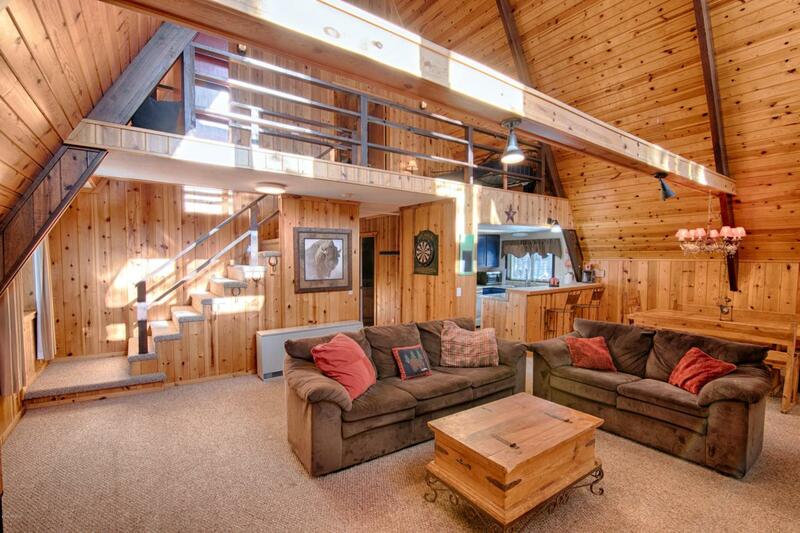 A true rustic cabin! The kitchen has been updated with new floors and counters, newly painted cabinets, and new kitchen sink, and down the hall find two bedrooms and one bathroom. Upstairs is where the party is, with a loft landing that currently has a trundle bed and dresser, with views of pines through the large picture windows. Cross Street Hwy 260 And Buck Springs Rd.